Are you starstruck by others who openly connect with their Spirit Guides? Do you feel like you can’t hear your own Spirit Guides? You think it must be complicated to work with your Guides, so you freeze up before you set the intention to connect with them? Do you think you must be a spiritual “expert” to work with your Guides, so you compare yourself with others in our niche? 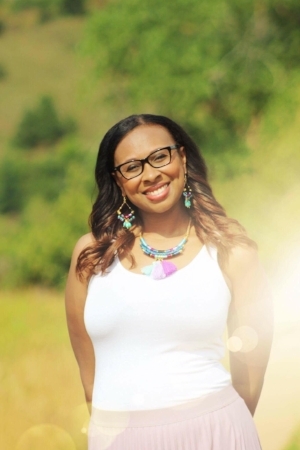 The Infusion with Spirit Guides eCourse is completed over four succinct, pre-recorded video modules in which I help you establish your connection with your Guidance Squad. The course includes a 32 page pdf journal with prompts so that you can document your journey with Spirit. This self-study course also provides access to a private Facebook group for support, and a Spirit Guide Activation you can use to meet your Guides. The course also comes with three bonus activations! The other activations include a Diamond Heart Activation, Higher Self Activation, and an Ancestral Activation. All of the activations have been channeled by Ascended Teachers such as Hilarion and Adama of Telos. I wanted to thank you from the bottom of my heart for this beautiful Spirit Guide Activation. I’ve done many activations/meditations over the course of my journey and have never had the results that I got from your activation. They were instant, no waiting around, my guides where right there waiting for me the moment I tuned in and heard your voice. To my total shock and surprise, I also received clairvoyant images which were totally unexpected as that’s not normally how I receive messages from the get-go. What I loved was that the activation was six mins tops. I could feel the love and intent that you provided all packed into this very special place which made the activation so effective! You have a very special gift, and I look forward to doing more of these! I will be recommending your activations to everyone! The investment for lifetime access is $47.00 for a limited time. After enrolling, you will receive a confirmation e-mail with a private access code. I’m Chayla Baer and I’m a psychic medium and channel. I’ve been connecting with my Spirit Guides since the age of seven and began actively co-creating with mine over fifteen years ago. Growing up, I had open conversations with my grandmothers about the Spirit world. They would always share stories with me about what family member in Spirit had messages for them that day. Spiritual and joyful living is a lifestyle and does not have to exist separate from daily life. When I deliberately began the leg of my journey in which I activated living my heart, I started to see circumstances for what they were – an opportunity for my soul to evolve. I hope that you will learn from me and then come to your answers. What’s true for me may be similar to your experiences, but I am here to be a guide to provide you with tools and elements to assist you. The illumination you seek is already with you! My dream students are people who do not want to be a carbon copy of others but want the freedom to explore their relationships with their Spirit Guides without rigid directions. You don’t have to know it all going in, but with inspiration and tools, you’ve got to want to take responsibility for fostering your spiritual growth. You will meet and work with many teachers, however, please remember, the only guru of yourself is you. One of your greatest gifts to the world is loving yourself and acting upon your destiny. If you feel called to foster a deep connection with your Spirit Guides, it would be my honor to help you with this. If you have any questions that weren’t answered on this page, feel free to shoot me an email at info@beyondthewings.com and I’ll get back to you shortly.